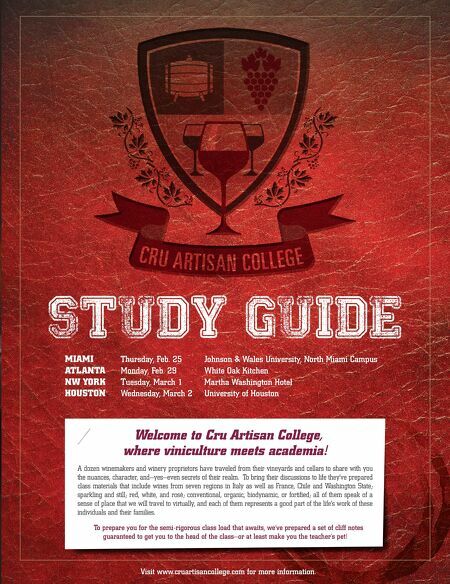 STUDY GUIDE Welcome to Cru Artisan College, where viniculture meets academia! A dozen winemakers and winery proprietors have traveled from their vineyards and cellars to share with you the nuances, character, and—yes—even secrets of their realm. To bring their discussions to life they've prepared class materials that include wines from seven regions in Italy as well as France, Chile and Washington State; sparkling and still; red, white, and rosè; conventional, organic, biodynamic, or fortified; all of them speak of a sense of place that we will travel to virtually, and each of them represents a good part of the life's work of these individuals and their families. To prepare you for the semi-rigorous class load that awaits, we've prepared a set of cliff notes guaranteed to get you to the head of the class—or at least make you the teacher's pet! 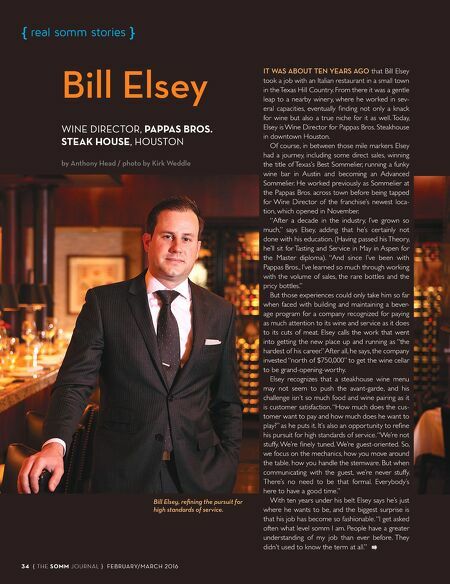 MIAMI Thursday, Feb. 25 Johnson & Wales University, North Miami Campus ATLANTA Monday, Feb. 29 White Oak Kitchen NW YORK Tuesday, March 1 Martha Washington Hotel HOUSTON Wednesday, March 2 University of Houston Visit www.cruartisancollege.com for more information.